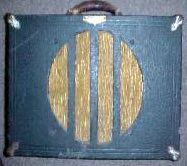 "The guitar on this page is a 1936 "KEN ROBERTS" RICKENBACKER Guitar. It has been stored for the last decade and possibly the finest surviving example of one of the first Electric Spanish guitars ever made. Factory records show 46 produced and three possible survivors are known. 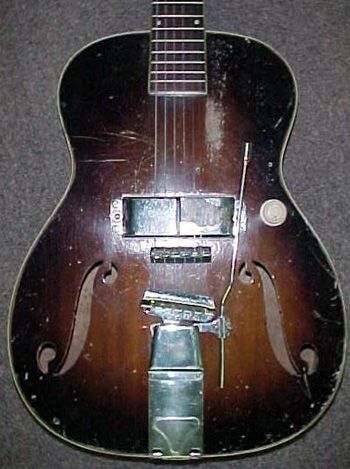 THIS GUITAR IS 100% ORIGINAL. The horseshoe pickup is patent pending. 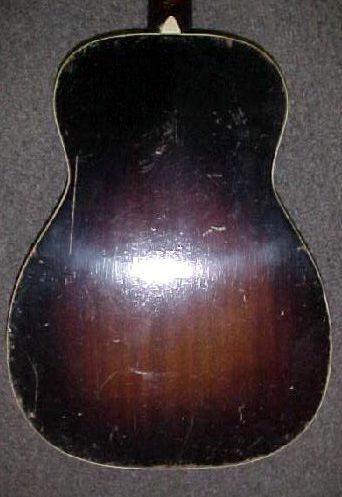 There is a Kauffman Vibrola tailpiece. 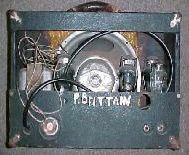 This guitar also has a "correct era" working amplifier. 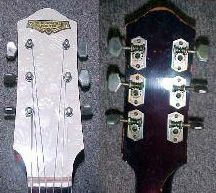 Note the spelling of Rickenbacker (Rickenbacher) on the headstock and the amplifier. The spelling, to the present Rickenbacker,changed during second world war".